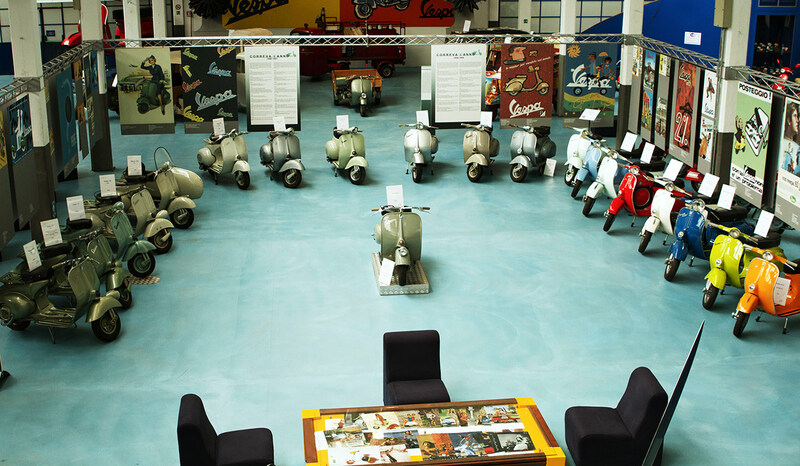 The Museo Piaggio was opened in March 2000 in the 3,000 square meters of former tooling workshop, one of the oldest buildings and fascinating industrial complex in Pontedera, where the company settled its production since the early twenties of the ‘900. 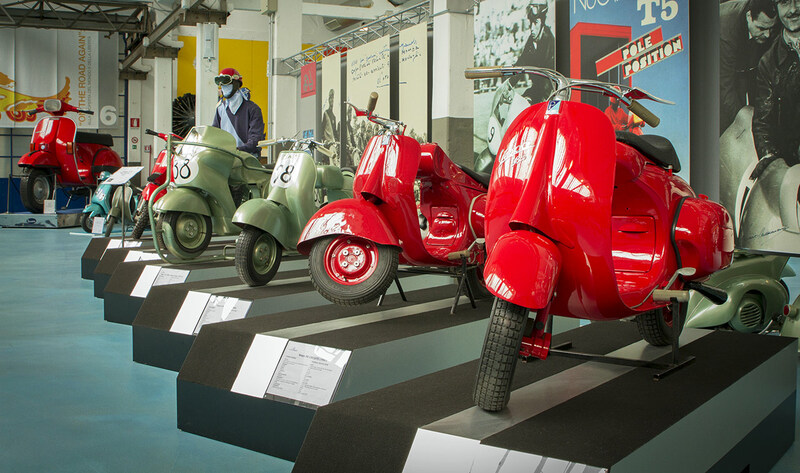 The museum was created to preserve and enhance the heritage of one of the oldest Italian and aims to reconstruct the history of Piaggio and its Territory retracing a long stretch of Italian history, the fact of economic, customs and industrial development, through the exhibition of its most famous and representative and thanks to the rich documentation preserved in the Historical Archives. Its halls house the Vespa and Gilera collections alongside the most significant products of Piaggio (aircraft engines thirties, a specimen of the driving station MC2 54, 1936, the plane P148 of 1951, the Bee, the Pentarò, the Hello , to the latest generation scooters). 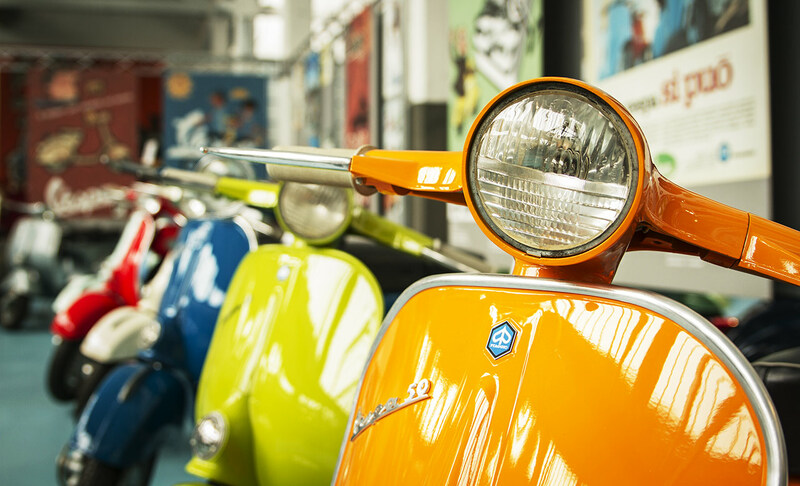 Since opening in 2000, the Piaggio Museum has had more than 400,000 visitors , with a continued increase until reaching a record of more than 44,000 people in 2014. It is therefore among the five museums’ company most visited in Italy.